The nineteenth century fakir of Shirdi is perhaps one of the most magnificent personalities of modern India. The one who carried a torn bag on his shoulders , a begging bowl in his hand and roamed barefooted the streets of a minute village in the heart of Maharashtra , soon got instituted as a king in the hearts of millions. He became a redeemer of masses , an approachable solution giver and a living legend. Despite the fact that till date , more than hundred years after his samadhi , millions flock to him everyday , his life and actions are often forgotten. For the simple fact that people start loving him even before they know exactly who he was . He is known for fulfilling wishes and dispelling the sorrows of those who visit his shrine . However , he was and is much beyond that. His life story is as interesting and as complete as is Ramayan and Shrimad Bhagwatam and his teachings are as universal and as simple as those of Buddha. But people usually donot analyse his actions , for many of them are simply beyond human mind but those which are comprehensible are indeed beautiful. Not only his but even those who lived with him , their lives too are worth worshipping for they were epitomes of true devotion of all forms. We witness dasya bhakti in Abdul , madhurya bhav in lakshmibai and sakhya bhakti in Shamya (all these were contemporary devotees of Sai Baba). Rather I have never seen a better example of worshipping God as a sakha other than Shamya. (I will talk more about him later ). I had earlier asked for permission for starting a thread on Sai Baba serial by Ramanand Sagar .It was one of his masterpieces , capable of stirring devotion in even the most staunch atheists. Though liberties were taken in twisting some of the tales , it was nevertheless a lovely rendition. 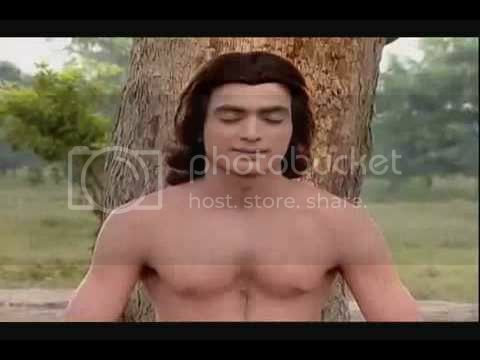 I am starting this thread to discuss about the serial as well as Sai Baba's life story. Sai Baba serial by Ramanand Sagar aired on Star Plus in 2008 and was later renamed Sai Baba - Tere Hazaron Haath . It was a beautiful depiction of the life of the saint , complete with its dose of entertainment. It starts Sai Baba's story as a mortal being from his appearance in the village Shirdi , under a neem tree at the age of 16. Though Sai Baba never entertained any doubts about his parentage or tutelage , some people believe he was born in Pathri . However since religious differences were widespread , Sai Baba never encouraged anyone to ask questions about his past. There are different theories suggesting how he was born which though quite interesting , cannot be accredited. So I am skipping this part and simply stating that no one could ever figure out whether Sai Baba was a Hindu or a Muslim. He never even mentioned his name ,rather was nicknamed by a villager ( will elaborate later ). He was well versed in both the religions , knew the scriptures of each them , encouraged the good practices of both and shunned the ills of either. He toiled to forge communal harmony at times when people of both communities viewed each other as foes. This he did not by way of words , but by his unique deeds , by his unique style of living . In simple words , he was no ordinary saint , not one who would give lengthy lectures , not one who proclaimed himself as god or god's special man ,not one who wanted followers . He was oblivious to the whole world yet devotees found him to be the major string puller or master puppeteer of this mundane world . He was all knowing and millions experienced and benefited from his omniscience . He was forever indulged in sahaj samadhi and knew the inner most thoughts of everyone. I may go on and on , but cutting it short , I come back to the serial. Legend has it that around the year 1854 , Sai Baba first made his appearance in Shirdi . 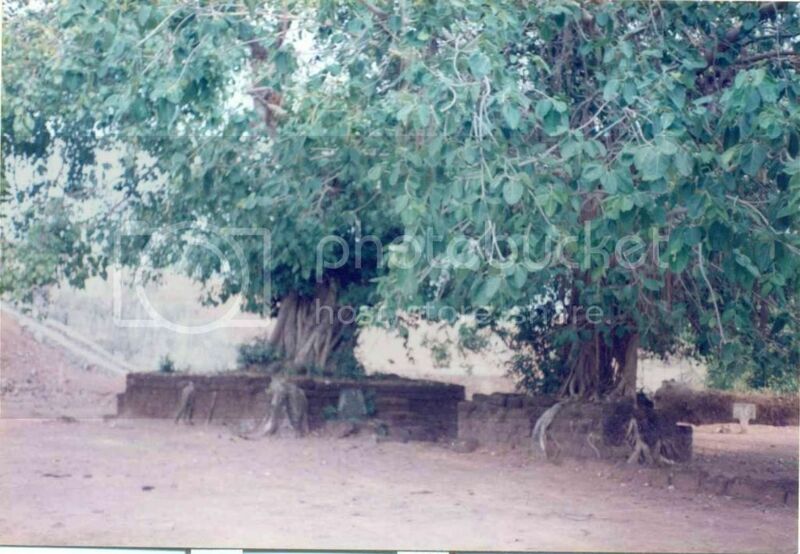 Seated under a neem tree on the outskirts of Shirdi , he appeared to be a yogi of the highest stature . 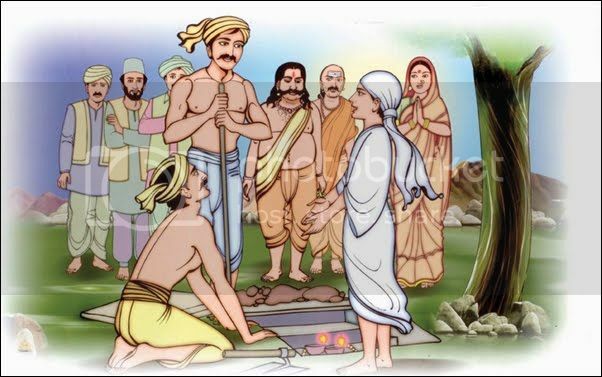 About 16 years old , the teenage boy was the personification of a liberate soul abounding in all the siddhis. A unique kind of tranquility pervaded him and he appeared to be in a state of complete realisation of self. Yet he sat with his eyes closed to the outer world , engaged in meditation as if completing some remnant penance. Such a harsh penance scared the villagers who were naturally attracted to him by the tranquility of his persona . His handsome face cast a mesmerising spell on them who felt they had had a glimpse of the LORD in this Kaliyug. But it was his tender age that astounded the minds of the villagers. He was but a young teen and yet the sense of renunciation sprinkled from his each cell . He never met anyone during the day and roamed fearlessly in the night . He did not go asking for food and rather dint seem to care a bit about his ownself. Rather it appeared that he could acquire nothing out of his tapasya for he had already attained perfect bliss. There was a temple of Lord Khandoba in the village . Khandoba is widely worshipped as an avatar of Mahadev. Maybe the Lord could not withstand the temptation to meet his own vibhuti while the yogi boy showed no signs of removing the curtain of anonymity . Thus Lord Khandoba , taking control of a devotee's body himself went to meet the young saint. Dumbfounded the villagers hailed the Lord and then threw a long list of questions about the young boy who had suddenly appeared in their village. To quench their curiosity the Lord asked them to follow him and led them to the neem tree where the boy spent his hours meditating. He called for an axe and asked them to dig at the foot of the tree. After digging for some time the axes hit a few brick pieces , removing which a passage to a cow shaped cave was revealed. The villagers followed the Lord inside. What awaited them was something which defied all human sciences. Four burning diyas , along with animal skin and a kamandal were seen . How the diyas remained ignited deep down the ground level is something which cannot be answered with common knowledge , yet hundreds of people saw them with their own eyes. Khandoba stated that the yogi had performed penance there for 12 long years . Saying so , the devotee came out of trance. In turn the villagers bombarded the young ascetic with questions on how he could have performed a 12 year long penance when he himself was very young . To avoid such questions , he simply replied that it was the samadhi of his Guru and it should be left intact . The links for the first episode of the serial are given below . It begins with an introduction by Ramanand Sagar ji. God's ways are unique . How and why he appeared in the form of a divine being on earth , nobody can tell . In order to re-establish faith in the Supreme , redefine the Vedas and Puranas , Show a simple path leading to God , he himself embraced this material world , mingled with the common folk and bore the pains of this mundane world.He was a milder form of Kabir , shunning the falsehood of the world without shunning it physically , he was Jesus Christ , taking upon himself the pains of those who surrendered to him. He was Ram , leading by example , a life of selfless service steamed with idealism yet He was Krishna , emphasising on the practicalities of life , He was Gautam Buddh , bearing compassion for the minutest of creatures , He was Shambhunath , fulfilling the deepest desires of those who prostrated before Him , HE WAS ONE WITH THE SUPREME ALMIGHTY , yet calling himself a humble servant of Lord. From now on I begin His leelas for all to drench themselves in this ocean of pure nectar. But before that I would like to quote an episode in Baba's life , a conversation he had with one of the nearest of his devotees , Shyama . Shyama was the Nandi to Shiv Sai. Those who would want to request something from Baba would invariably approach Him through Shyama for it was by Baba's own wont that he would never refuse Shyama. Shyama was the epitome and the most unique example in all religious literature of Sakhya form of devotion. I will write more about him later , but just like we pay our respects to Nandi before reaching Mahadev , so am I mentioning this particular instance before starting Baba's leelas. Shamya : Kai Re ( An informal Marathi slang used to address the closest of friends else the other person might take offence ) Deva (as Shama would call Baba ) , it is written in the Ramayan that Shri Ram , built an army of crores of monkeys and led them to the sea wherein he built a bridge and vanquished Ravana. Deva , is it true. Baba : Yes Shamya it is true , the sea is real and Shri Ram was really there , ok? Shamya : Deva where did so many monkeys sit? Shamya : You are describing as if you saw all this with your own eyes . How can you be so sure about something which occurred millions of years ago. Were you there to see all this with your own eyes?? Baba : Yes Shamya I was there to have witnessed all this with my eyes . Fine now? Shamya : How old were you then?? Baba : Just as you see me now. to see the vanar sena re?? Shamya : Deva are you speaking the truth? reside day and night ) . I swear by you that I am telling you the truth. You should be able to create a thread for Sai Baba, as many Hindus do consider him God. Why not? Yes many Hindus do worship Sai Baba as God. Even if they do not regard him as God , his sainthood cannot be contested. At a time when Hindus and Muslims considered each other as enemies , Sai Baba emerged as a messiah of integration , a protector of the downtrodden. I donot wish to offend anyone , people have the right to believe whatever they feel is right. I just wish to share few incidents from his life which are both knowledge giving and interesting. Nice thread dear!Please keep posting. -Nymphadora- 35 3510 22 October 2012 at 3:23am by .Reshama.